U.S. Department of Defense - FTS Inc. The combined United States military forces comprised of the Army, Navy, Marine Corps, Air Force, and the National Guard. The U.S. Department of Defense has operations in all 50 states, and the majority of bases are concentrated around the periphery of the country. The terrain in the eastern U.S. is comprised of coastal plains with mainly deciduous forest cover. Rolling hills and marshlands are characteristic of much of the south, with tropical forest cover not uncommon. The western states are home to the Rocky and Coastal Mountain Ranges running from north to south, as well as large forested areas. The Great Basin region, home to a large number of military bases, is mainly desert with dry and rocky terrain. In the north, Alaskan terrain is generally taiga with heavy boreal forest cover. 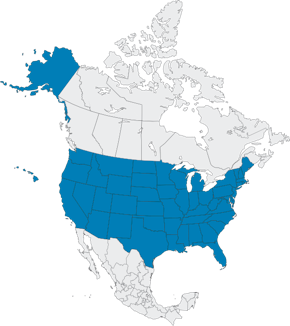 The United States includes most climate types, such as the frozen Alaskan north, the arid plains and prairies, and tropical zones in the Hawaiian islands and Florida keys. The dry plains and forested areas are often prone to wildfires, both of natural and human causes in the hot and dry summer months. The US Department of Defense has been an FTS customer since 1995. 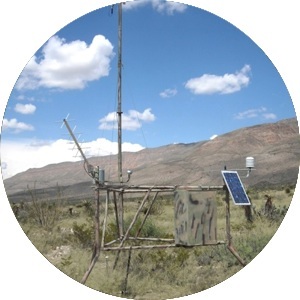 The U.S. Department of Defense fire RAWS network provides fire weather and fire behavior monitoring on bombing ranges, munitions ranges, and during military exercises.